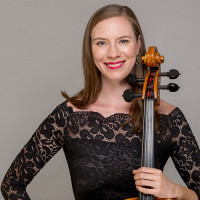 The Friends of WASO Scholarship was created to enable full-time members of the Orchestra to take up opportunities for professional development in Australia and overseas. 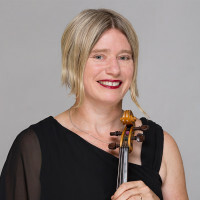 The funds can be used to assist with travel, tuition, conferences or masterclasses and regardless of their experience or career stage, all WASO musicians can benefit from opportunities for development. Funds for the Scholarship are generated through ticket sales to WASO’s Patrons & Friends events held throughout the year. 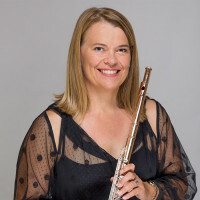 Considering Perth’s geographical isolation, it is paramount that our musicians can take advantage of opportunities that enable them to overcome this distance and enrich their professional experience interstate and overseas. 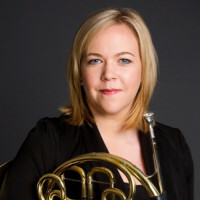 Julia will be travelling to the USA to undertake lessons with four leading horn players – three of whom are female and considered trailblazers in their field. 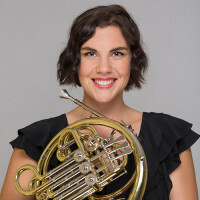 As WASO’s sole female horn player, Julia feels this experience will ‘offer her some unique insight into playing horn as a female in a male dominated part of the industry’, as well as help her inspire younger generations of female brass players. 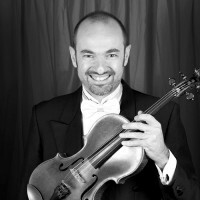 Brent used the Scholarship to travel to New York where he completed his Masters degree at The Juilliard School. 2017 marks 10 years since Brent arrived in New York, and this scholarship enabled him to undergo an intensive week of lessons and classes at Juilliard, while also making the most of being in NYC, attending concerts at the Met Opera, the New York Philharmonic and recitals at Carnegie Hall! Read a letter Louise wrote to the Patrons & Friends community about how she benefited from the Scholarship here. Louise McKay’s chair of Associate Principal Cello is supported by Penrhos College. Liam utilised the scholarship for a study tour to the United States where he undertook lessons with players from the San Francisco Symphony, Boston Symphony Orchestra and the Philadelphia Orchestra, as well as attending symphony concerts and rehearsals. 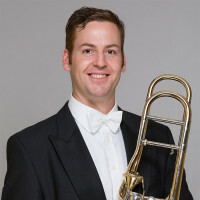 The lessons were with several different players including Toby Oft, Principal Trombone of the Boston Symphony Orchestra and Joseph Alessi, the Principal Trombone of the New York Philharmonic, who is widely renowned as one of the finest brass teachers in America. While in the US, Liam attended the Winter Trombone Workshop in Ithaca, New York. 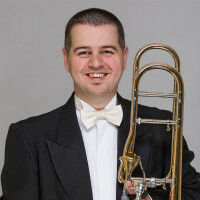 This was a 5-day intensive trombone workshop consisting of lessons, masterclasses, ensembles and lectures in all facets of brass playing and teaching. 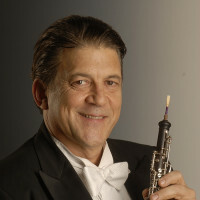 Run by Haim Avitsur, a freelance player in New York City, it featured Nitzan Haroz, David Taylor and Hal Reynolds as guest artists. Sharn utilised the scholarship funds to attend the International Horn Symposium. The Symposium, an annual week-long event hosted in a different capital city each year, brings together hundreds of horn players of all different nationalities and standards. The 2015 47th International Horn Symposium was held in downtown Los Angeles at the Colburn School of Music, with a theme of ‘Then and Now’ - a celebration and reflection of the horn’s role through time. 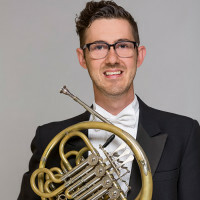 Some of the most outstanding and prolific horn players in the world were at the L.A. IHS, including the Principal players of the Berlin Philharmonic, the London Symphony Orchestra, the New York Philharmonic and the Los Angeles Philharmonic Orchestra. As part of her scholarship trip, Louise participated in two summer school courses, in Trieste, Italy and St Paul, Austria during July 2012. Both courses included significant opportunity for lessons, as well as observing the teaching practice of other participants. 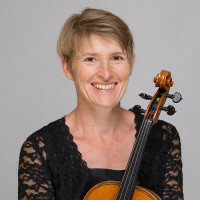 Louise undertook tuition from Professor Helfried Fister, Director of Strings at the Klagenfurt Conservatorium, Austria, and a well-regarded teacher and long-time jury member of the European Brahms competition. 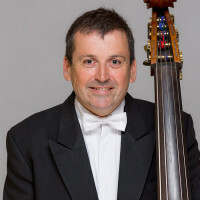 Mark used his funds to organise a job exchange with one of the bass players from the BBC National Orchestra of Wales for a four month period in 2012. 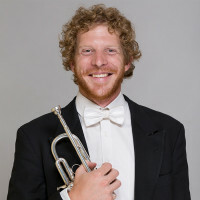 This provided Mark with the opportunity to enhance and develop his technique, as well as being exposed to fresh ideas and different schools of playing. Mark had private tuition with some of the leading international musicians, attended masterclasses and watched as many orchestral concerts as he could fit in. Mark, like Margaret, is passionate about teaching and transferring his knowledge to the next generation of bass players. 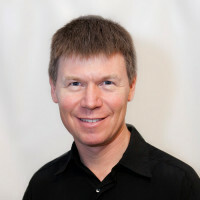 Tim White travelled to the US for the 2010 International Convention of Percussive Arts in Indianapolis after heading to Queensland in August for the Percussion Gathering at the Queensland Conservatorium. Joel Marangella attended a ProGouge Seminar at Michigan State University in the United States where he learned reed making skills not available to him at the time in Australia. 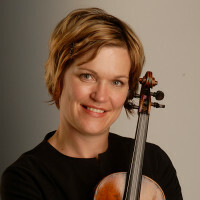 Kierstan Arkleysmith used the funds to attend the Utrecht Conservatory in the Netherlands for fitting and trial of a chin and shoulder rest set-up. Kierstan also took lessons in the Alexander Technique which addresses bad habits of posture and movement and helps to develop even distribution of muscle tone. It is a technique that has proven to be extremely helpful for many musicians.